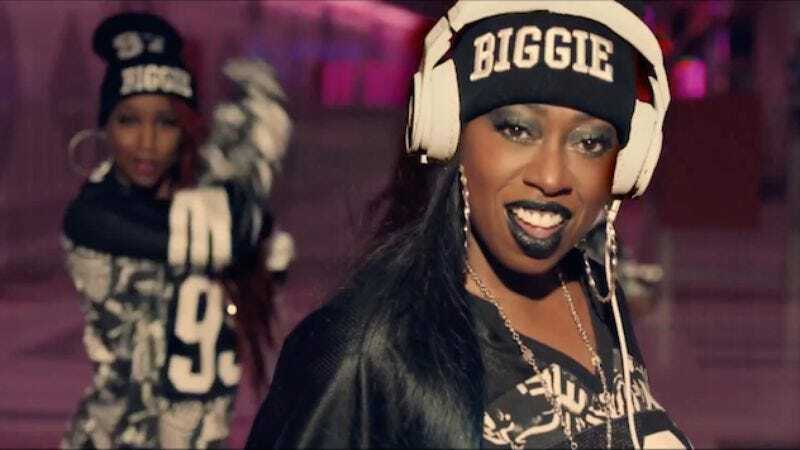 Missy Elliott teased her return to music (it’s been three years since her last single) with a performance at this year’s Super Bowl that upstaged everyone but Left Shark. Then in October, she gave listeners a taste of her new single, “WTF (Where They From).” Elliott has now released the full song and video, which features longtime friend Pharrell Williams. The song has a throwback vibe and features Elliott’s signature bawdy lyrics. The video, posted below, sees her dance in stunning outfits alongside a chorus line of women in Biggie hats, as well as the usual gaggle of coordinated kids. There are even marionette versions of the two rappers. There’s currently no word on when we can expect Elliott’s new album, but she is collaborating with Williams on it.